element14 Pty Ltd announces the newest edition of ‘element14 Features’ showcasing over 15,000 products for industrial manufacturing and robotics. 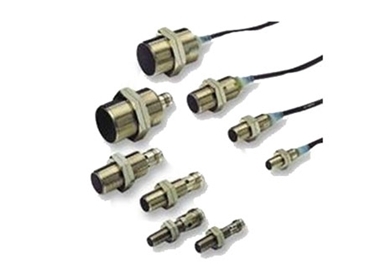 Suitable for use in control panel, machine safety, sensors, motors and industrial connectivity, these products have been sourced from leading global suppliers such as Alpha Wire, Amphenol, Honeywell, Omron and TE Connectivity as well as specialist manufacturers including Lapp Kabel, Maxon Motor and Schneider. Robotics in industrial manufacturing processes helps reduce operating and capital costs while improving product quality, increasing yield and lowering waste. Key solutions in the element14 Features edition include industrial robotic arms, electro-mechanical controls and motor drive controls. Engineers can search efficiently from the complete compilation of MRO components and solutions as well as over 80,000 high-reliability military-spec products and enjoy promotions on various products. A dedicated section on design resources including application guides, white papers and training material is available to help accelerate the design process. In addition, element14’s Community provides an online hub where engineers, electronics enthusiasts and experts can gather and discuss their latest projects. According to Athena Wang, Regional Director of Product Marketing, element14 Asia Pacific, element14 Features brings together many useful resources and products from leading brands in the industrial manufacturing and robotics market, supporting the needs of anyone designing, building, installing, using or maintaining equipment in the area, and especially helping those in industrial goods processing or manufacturing environments to reduce complexity and increase productivity.